• Lost tax revenue: sales taxes, transient occupancy taxes, earnings taxes, admissions taxes, and parking fees. • Less vibrancy at The Banks because of fewer patrons for restaurants, bars, and retail establishments. 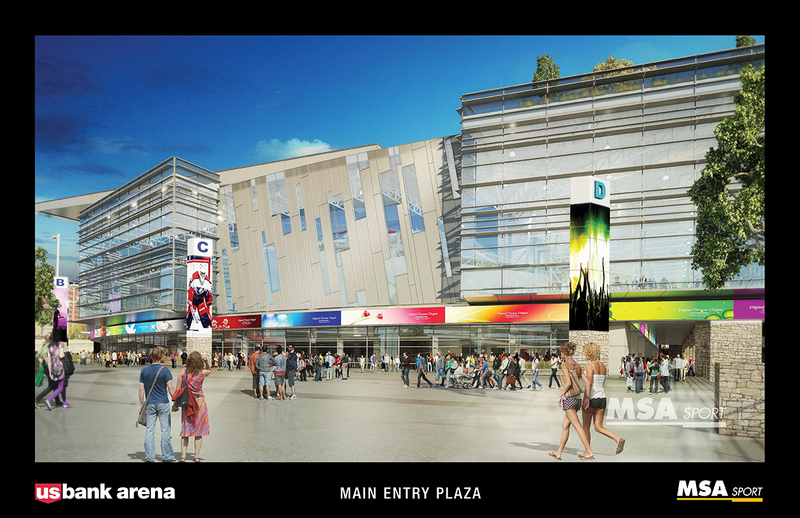 Return on Investment - A modern center can host entertainment and sporting events as well as conventions and meetings to drive economic impact and quality of life for our fellow residents. 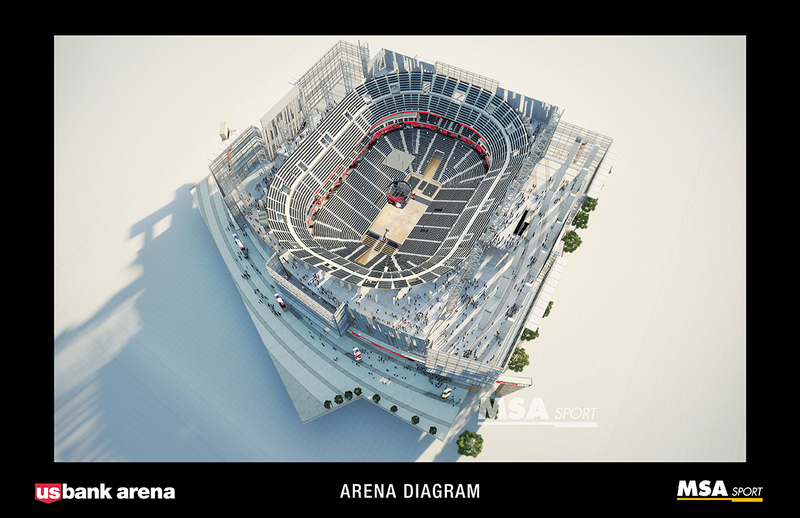 With a new arena, we could host the likes of U2, Taylor Swift, and Kendrick Lamar concerts, NCAA men’s basketball tournament games and national conventions bringing thousands of visitors to Hamilton County and The Banks. 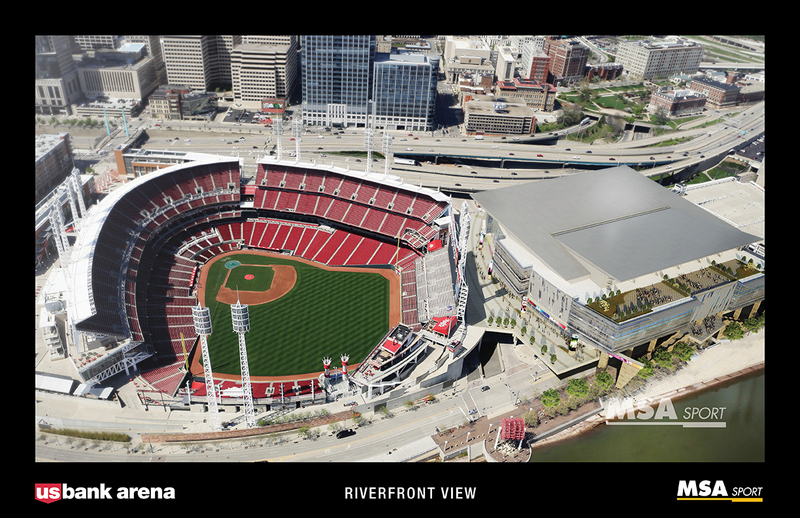 • A new arena will help sustain businesses at The Banks, especially during Reds and Bengals off-season. • This venue will round-out The Banks to encompass all aspects of entertainment for people to enjoy. 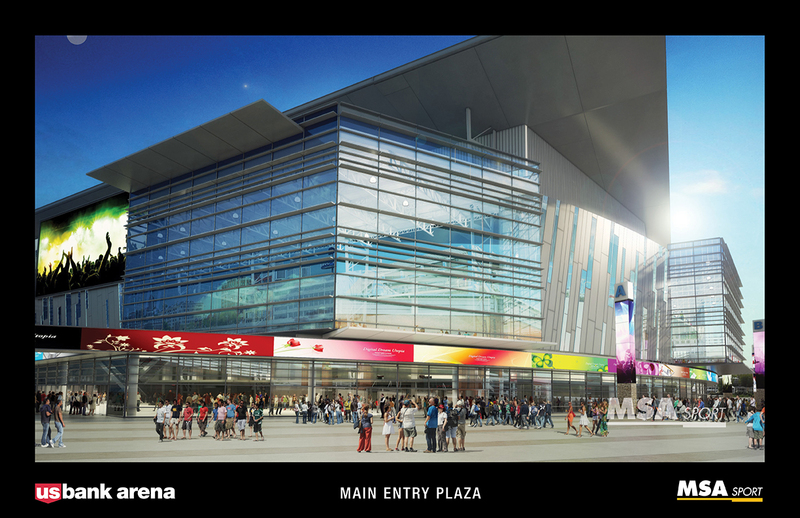 The Project - A facility that can compete against facilities in Columbus, Cleveland, Louisville, Indianapolis or Kansas City will require demolition of U.S. Bank Arena and construction of a new facility by a public entity. The project cost is estimated to be approximately $350 million. 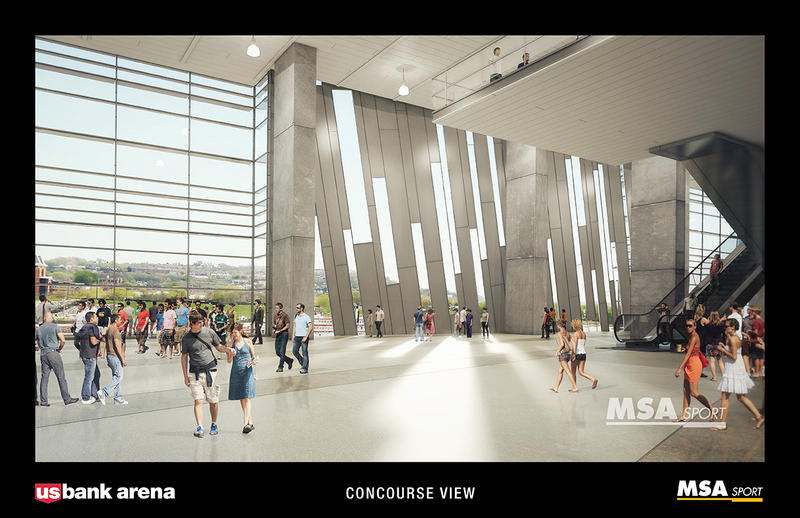 • Retractable floor space in lower bowl to create large, contiguous floor of approximately 50,000 square feet; space currently unavailable for Cincinnati’s efforts to recruit top national conventions and meetings. Potential Funding Sources: Extension, Investment, Return - With ownership of the property in the hands of a public entity, public dollars could be used to finance the project. 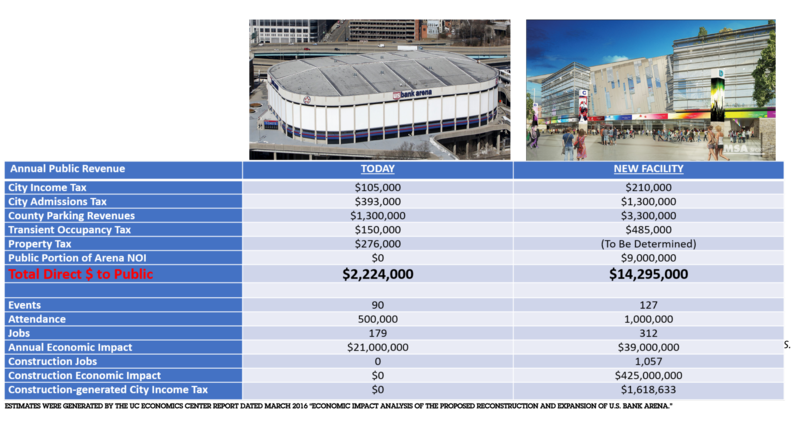 That public entity would also receive the net income from operations of the new U.S. Bank Arena to repay any public debt and fund other priority public initiatives. One approach would be to fund the project over a seven year period by extending the ¼¢ sales tax that was used for Union Terminal and by dedicating a combination of other revenue streams including building revenues, parking revenue and admissions tax, etc. Approximately 45% of the sales tax is paid by people who live outside of Hamilton County, and the annual impact of a ¼¢ sales tax to the average Hamilton County resident is approximately $23.00. Kansas City and Cincinnati are Midwest river cities bordering another state with populations just over 2 million, median annual household incomes of approximately $60,000, and similar demographic compositions. 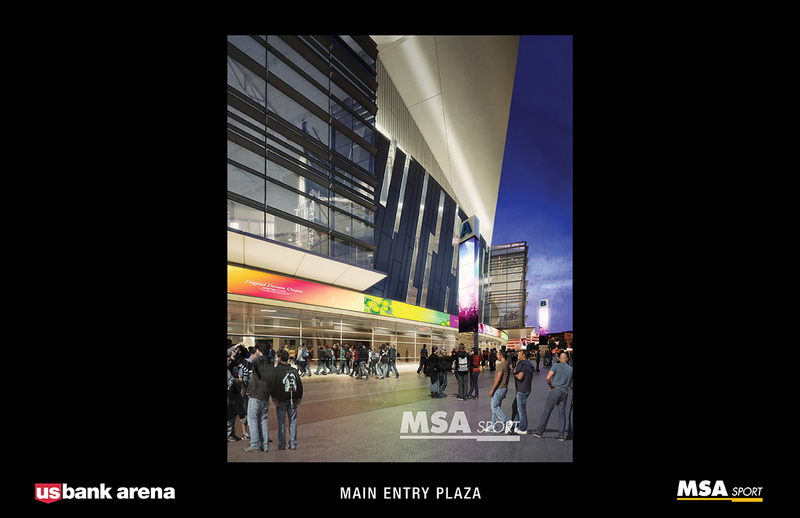 • 10-year old Sprint Center public-private partnership which included private funding and a voter-approved increase in hotel and car-rental taxes earmarked for the arena. 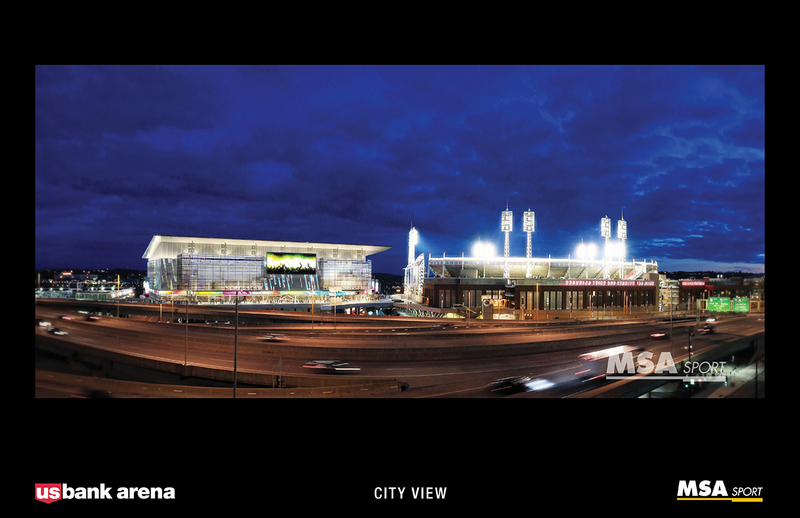 • Replaced the Kemper Arena, which first opened in 1974, just one year before U.S. Bank Arena opened its doors. • Sprint Center draws over 125 events per year without an anchor team - NCAA basketball tournaments, U.S. Figure Skating Championships, etc. • Sprint Center generated approximately $11 million in Net Operating Income last year. 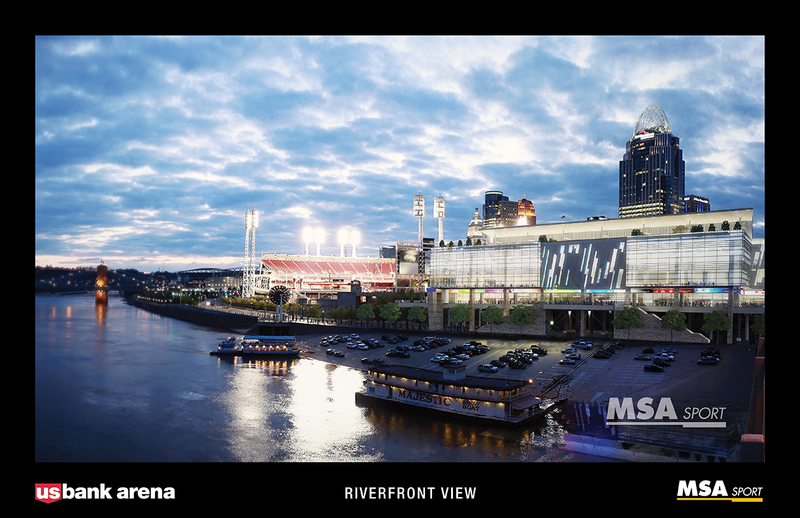 It is important for Cincinnati to have a modern center to host entertainment and sporting events as well as conventions and meetings to drive economic impact and quality of life for our fellow residents. 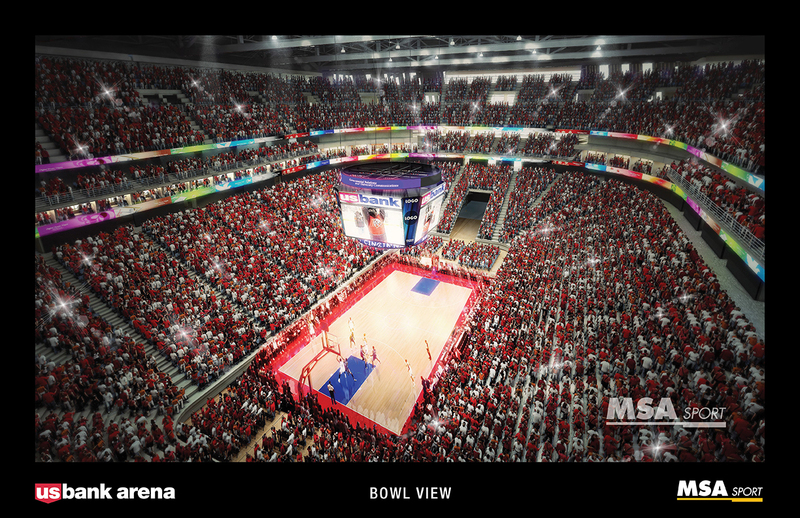 With a new arena, we could host the likes of U2, Kendrick Lamar and Taylor Swift concerts, NCAA men’s basketball tournament games and national conventions. 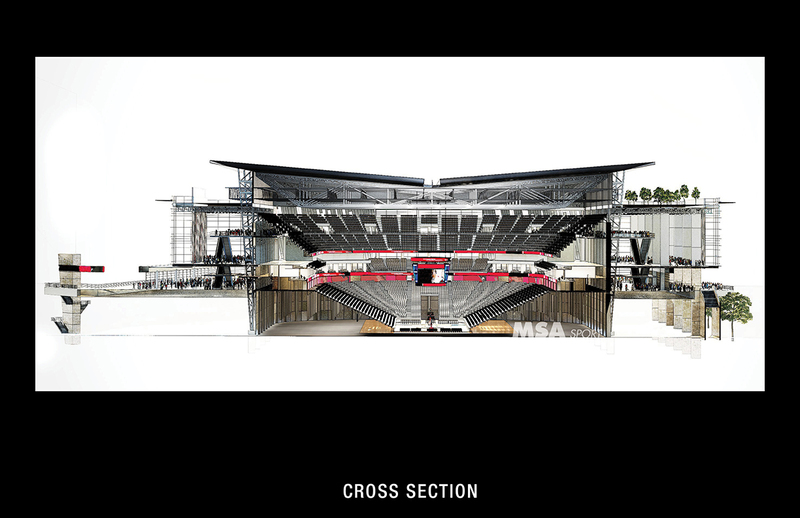 This new facility will help the sustainability of businesses at The Banks, especially during the winter months when the Reds and Bengals are in the off season. Conventions also have a powerful economic impact on the region. The NAACP Convention in 2016 brought over $4 million to the region, while the American Legion Convention the same year brought over $10 million. 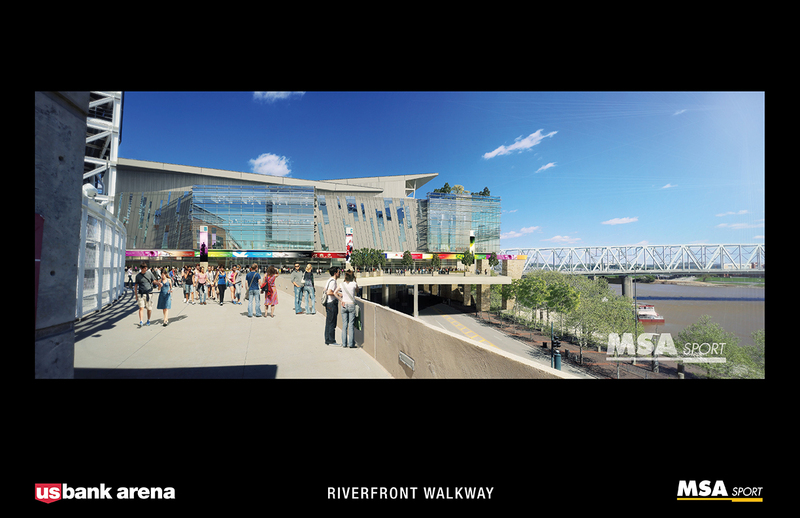 A high-quality venue will be a powerful attractor for large conventions to return to Cincinnati and come to Cincinnati for the first time. With a projected annual economic impact of $39 million and over $14 million annually in public revenues, the public’s investment is more than justified. Not only does this project enhance our quality of life, but it also returns the initial investment and provides additional funds to the taxpayers of Hamilton County for further investment in their community. 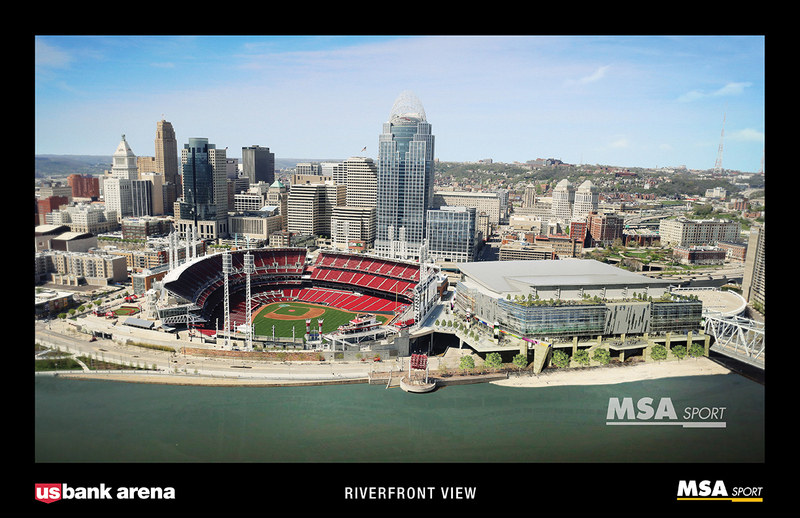 Share your thoughts on the new vision using #WhatsNextCincy!